Nantes is a big old French city that occupies land along the Loire River in the west of the country. One of the major hubs in the historic province of Brittany, and the ancient Duchy of Brittany, it’s easily accessible to us Brits. Just a short hop over the Channel by ferry before booting it on to the final destination. 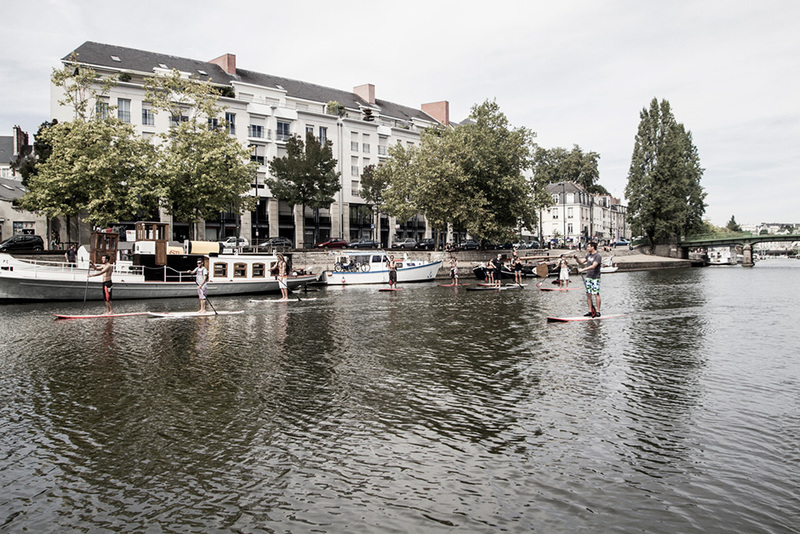 Time Magazine voted Nantes as ‘the most liveable city in Europe’ in 2004 and it’s noted for its innovation across multiple economic sectors and cosmopolitan personality. As with any French metropolis, there’s an abundance of hustle and bustle and visitors can while away the hours observing all the busy goings on. 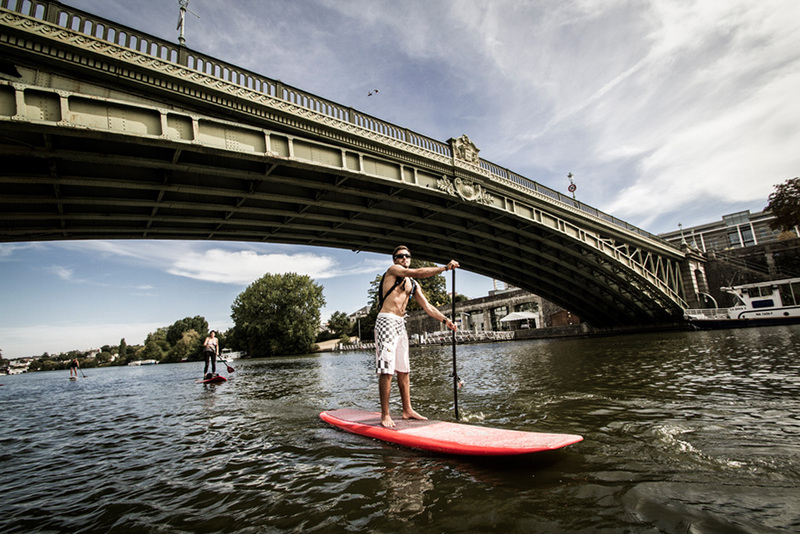 Stand up paddle boarding in this neck of the woods is very much on the cards. 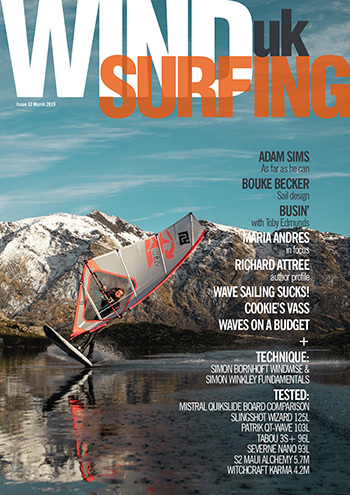 West coast surf that pounds shorelines speaks for itself and there are plenty of options for rip, shred ‘n’ tear. 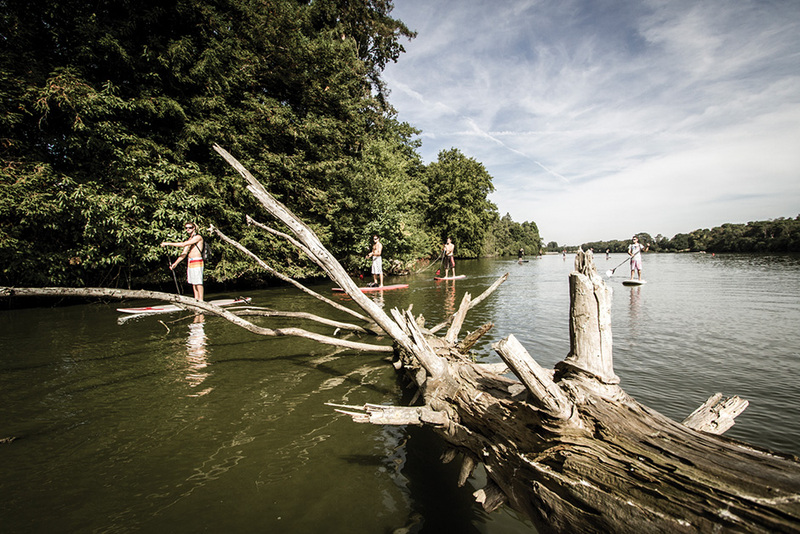 But flat water is also available – in particular the Edre, a tributary of the mighty Loire that runs through the heart of the city, is doable for a spot of SUP. 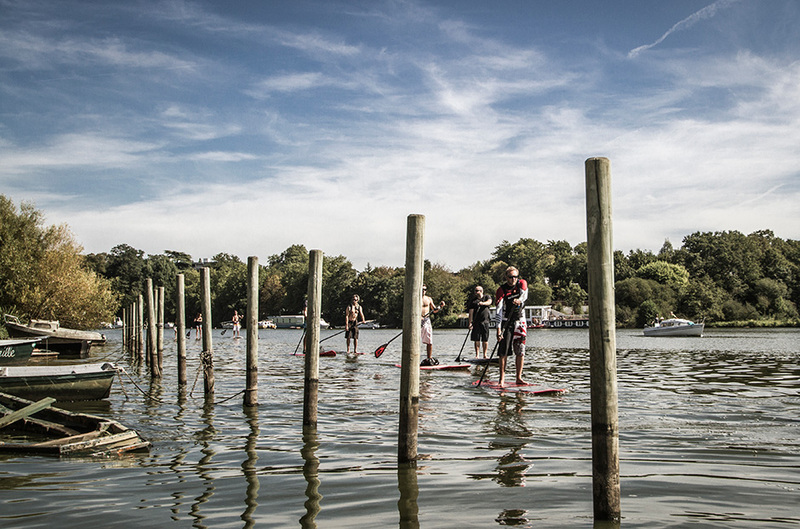 From a scenic point of view it’s a great location with plenty of historical sites to see from the unique angle of your paddle board. If you’re considering putting in anywhere along its length you’ll need to make sure you’re able to launch without causing issue. It’s worth checking local rules and regulations before heading off. In places, particularly close to commercial hubs, the river gets very busy with boat traffic – it might not be a good idea to venture here. Some of the quieter areas, such as those shown in the accompanying pictures, are fine though. 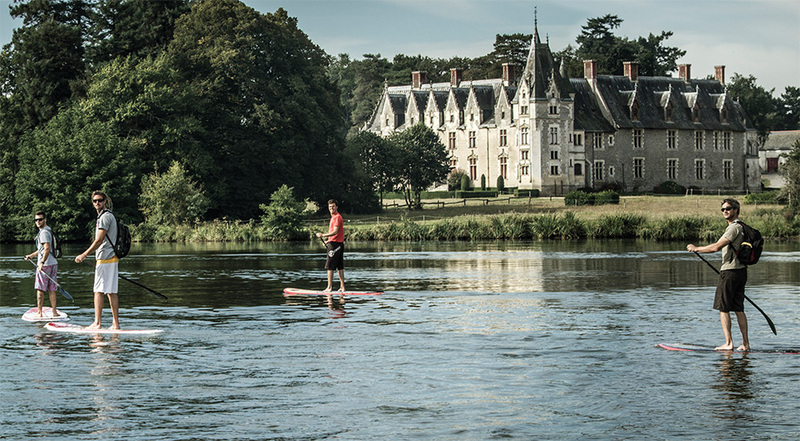 Nantes isn’t your only SUP port of call in this area. 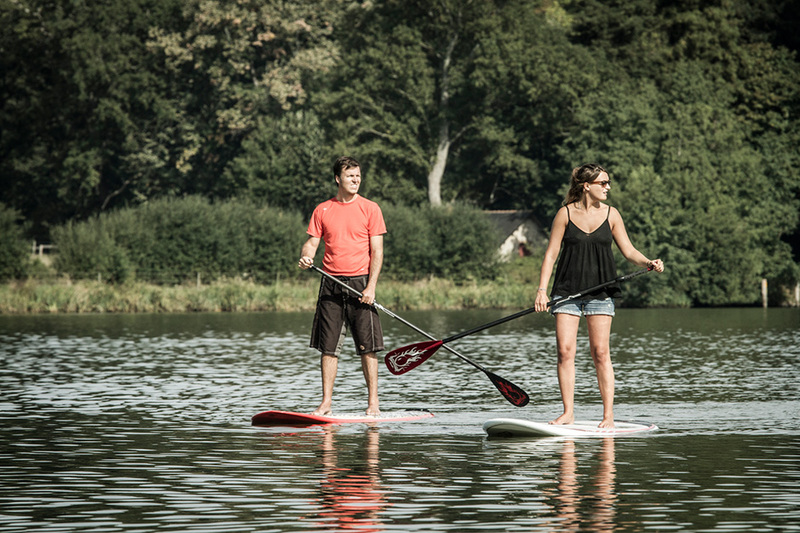 After all there’s so much more stand up paddling opportunity waiting to be discovered – inland and sea. 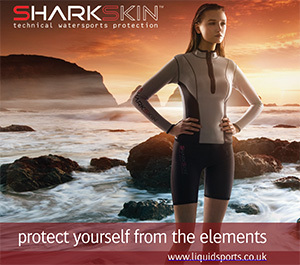 But if you find yourself in the city then it’s worth stopping off for a look and checking out the flat water potential. 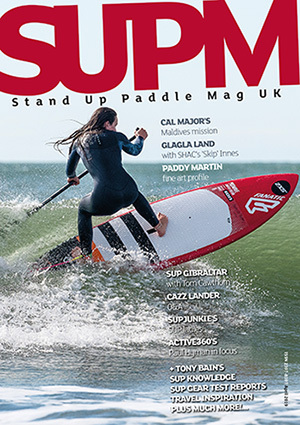 The photo gallery from Pierre Bouras with riders Angélique Audran, Maxime Boutet, Benoit Coulon, Stéphane de Renty, Antoine Huet, Sylvain Jimenez, Fiona Hengoat, Erwan Le Cloirec, Alex Morin, Anne-Sophie Polard and David Vincent, should give a flavour of what you can expect. We’re sure you’ll agree it looks idyllic and is definitely worth hitting up if you’re ever that way.